As we’re heading into the school year, I thought it’d be a great time to share my three favorite drugstore makeup brands. If you’ve been reading my blog for a while, you could probably already guess my favorite brands. But, I’ll take any excuse to talk about makeup and beauty! I do have a question for you all — what do you think about a skincare version of this post? Let me know! If there’s ever a month I need cut back on spending, it’s August. Between back to school shopping for supplies and clothes and shoes, we’re all doing a lot of shopping. 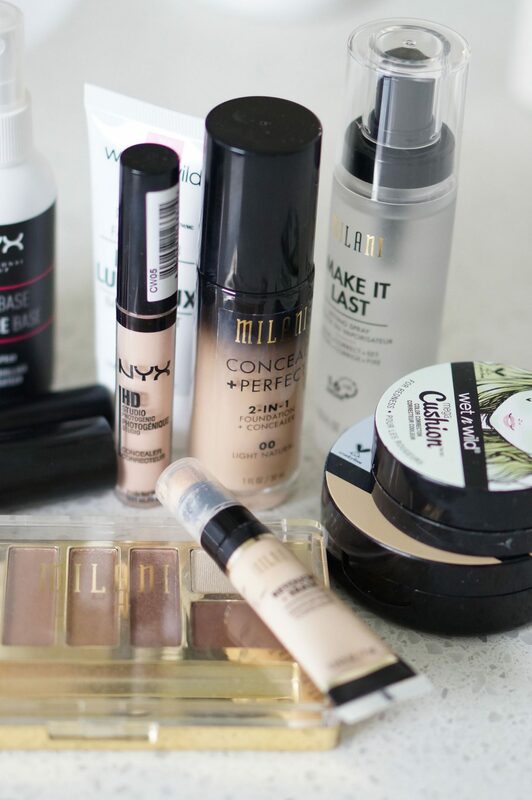 Whether you’re either heading back to school/college or you’re a mom shelling out for the school expenses, I have three affordable makeup brands that have really great, effective products. I’m also going to share the products that I love for each brand. NYX is the brand that I go to for really well-performing products. Their tag line is Professional Makeup, and I can see why. Everything I’ve tried has been so wonderful. 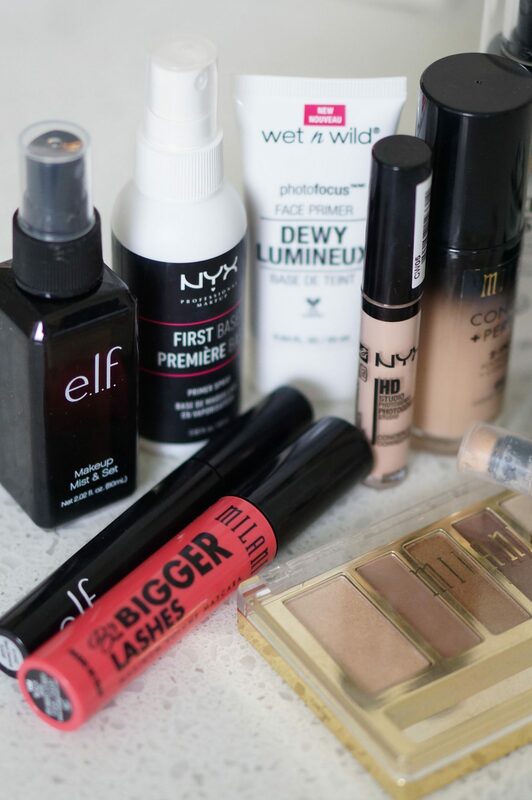 I absolutely love their primer spray, micro brow pencil, and eye shadow palettes. I’m sure everyone could guess this brand would make it on the list. Milani is one of those brands that’s always coming out with cool products. I basically want every single neutral eye shadow palette they have, because the formula of their powder products is so amazing. I am a huge fan of their foundation, blush, highlighter, and eye shadows. Of all the makeup brands from the drugstore, Wet ‘n’ Wild takes the cake for being affordable and wonderful quality. I can’t think of a product I wouldn’t recommend from the brand, but I do have a few faves. Their foundation is amazing, as are their eyeshadow palettes and blush. E.L.F. is in the same category as Wet ‘n’ Wild, because it’s insanely affordable and also really great quality. 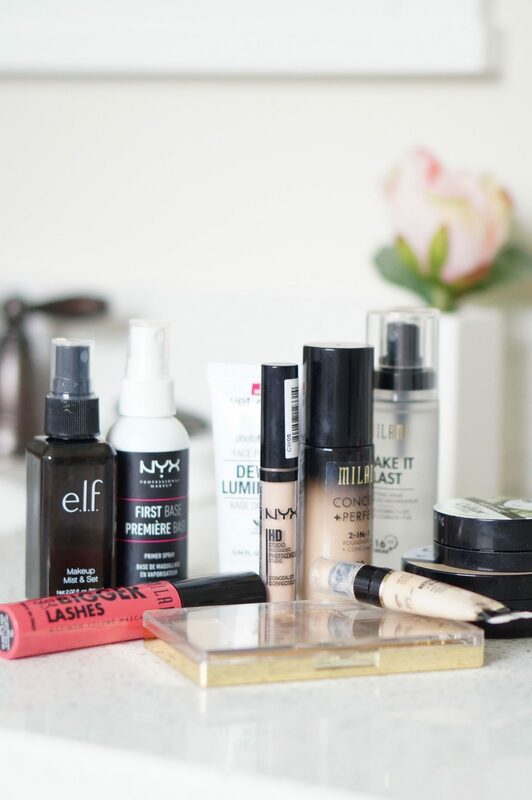 There’s not one makeup category that I can’t recommend for E.L.F., except their foundations. I hope they come out with some better options in the future, but for now I love their eye shadow, mascara, and powder.